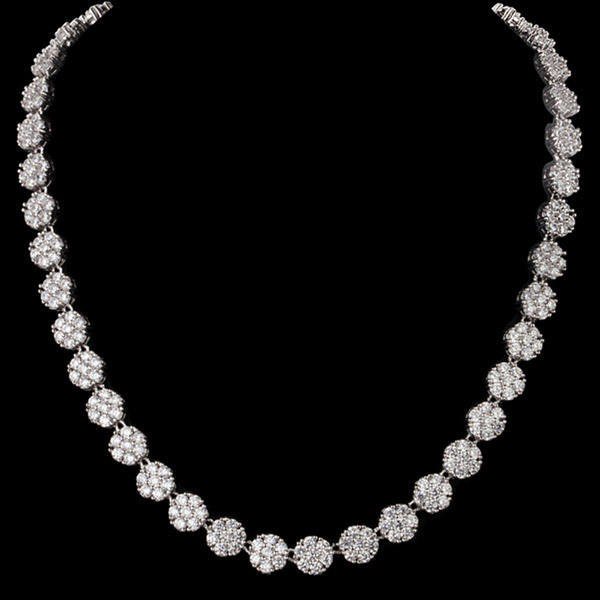 An impressive 3 strand diamond necklace with true movie star elegance. Mix n match with our stunning diamond bracelets and look like a million dollars. AAA+ CZ diamond stones with white gold plating. 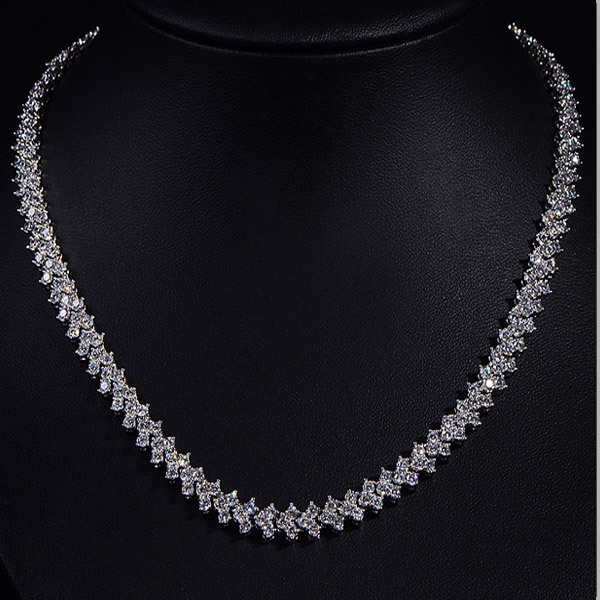 You'll be the talk of the party when you show up wearing this stylish diamond necklace. Mix n match with our stunning diamond bracelets. 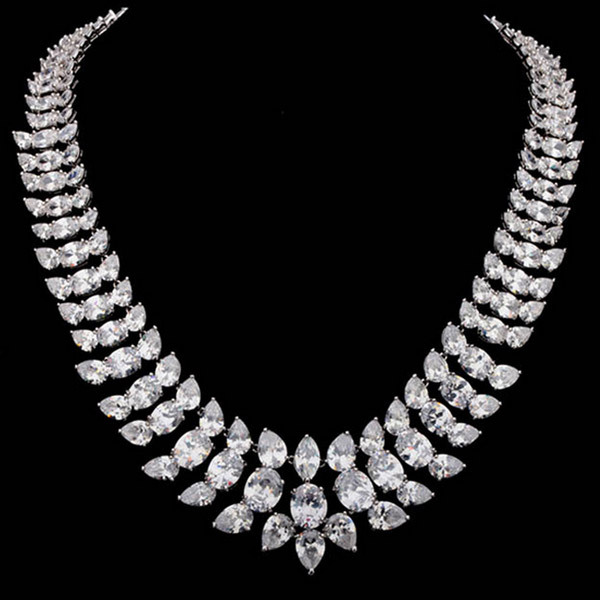 Beautiful roman design diamond necklace that is sure to make you stand out in a crowded room. Mix n match with our stunning diamond bracelets. 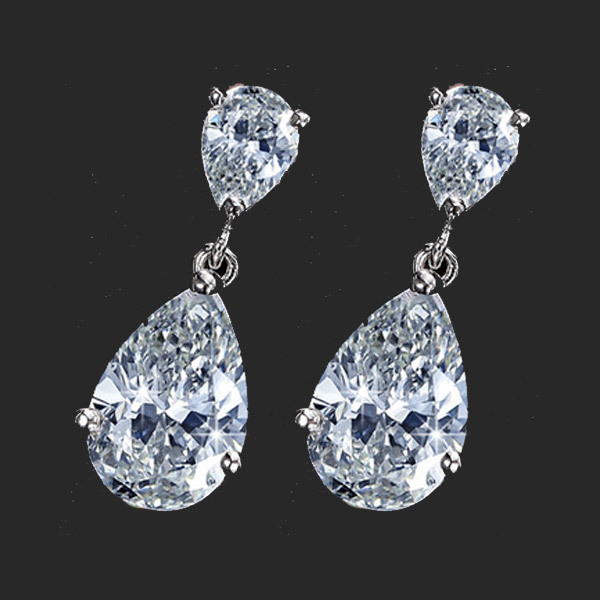 Stunning 18K white gold diamond earrings with AAA+ quality CZ stones. 25mm drop with 13mm large stone.